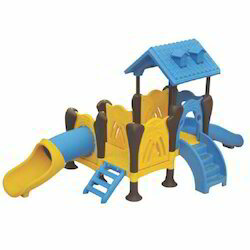 Our range of products include kids castle sr. multi play station, villa tube multi play station, outdoor jumbo play station, jumbo kidie land multi play station, play villa multi play station and jumbo kids castle multi play station. 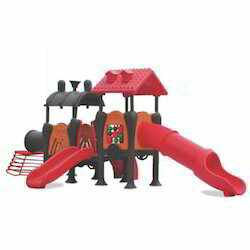 Size 6.9' X 13' X 7.2' FT.
Used Area 10.5' X 16.5' FT.
We are instrumental in offering our clients a high quality range of Kids Castle Sr. Multi Play Station. 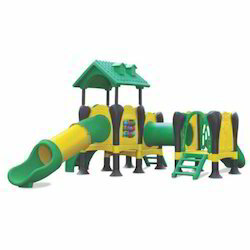 Size 9' X 4' X 7.5' ft.
Used Area 12.5' X 7.5' ft.
We are passionately engaged in providing an exclusive array of Villa Tube Multi Play Station that is mainly used in villas, schools and gardens. 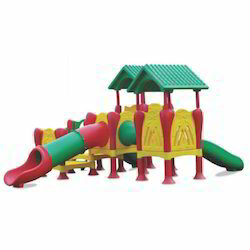 Size 11.5' X 7.5' X 8.2' FT.
We are counted amongst reckoned names in the industry, committed towards offering a wide gamut of Outdoor Jumbo Play Station. 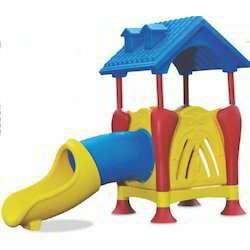 Size 18.4' X 13' X 8.5' FT.
We deal in Jumbo kidie Land Multi Play Station which is much admired by kids; they truly love this because it comes with utmost space for kids to enjoy. 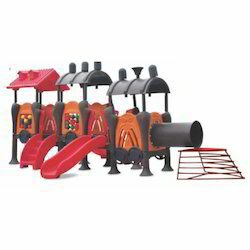 As a quality-oriented organization, we are focused to provide our clients excellent quality Loco Engine Jumbo Multi Play Station. The station offered by us is designed by our qualified professionals with utmost care and perfection by making use of quality assured raw material. In order to ensure the quality of this station, our quality experts test the entire range on various parameters. 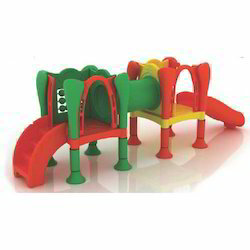 Apart from this, we provide the entire range in different specifications to meet varied needs of clients. 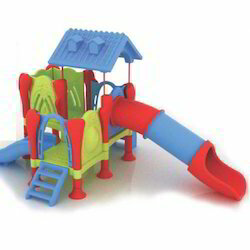 Furthermore, this play station is widely used in parks. 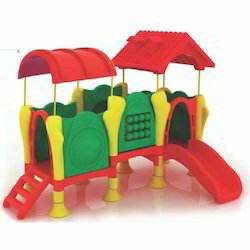 Being perfectly shaped and swift movement of our organization, we are instrumental in offering a modern range of Loco Engine Sr. Multi Play Station. 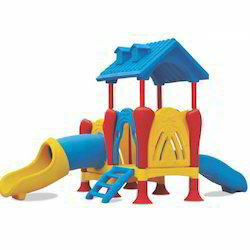 For designing the entire range, our creative professionals use only superior grade raw material and leading-edge techniques, in compliance with predefined industry quality standards. Apart from this, we also modify this station as per varied requirement of our clients. Size 16.4' X 4' X 5' FT.
Used Area 20' X 7' FT. Size 13.1' X 11.5' X 7.5' FT.
Used Area 16.5' X 15' FT. Looking for Play Station ?